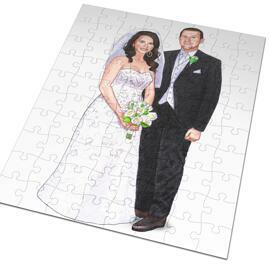 Get a beautiful wedding caricature of bride and groom, who will be hand-drawn from photos in colored pencils style. 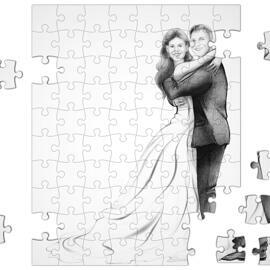 Our Photolamus artist will draw any desired married couple in full length body type on A4 or A3 Paper, which can be framed and gifted as wedding gift to bridal couple. 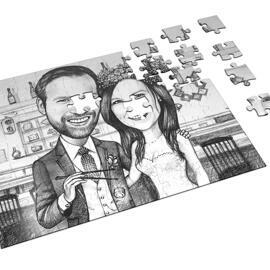 Or if you are a bridal couple, then such an original wedding caricature will make an amazing idea of wedding invites and gift idea to parents. 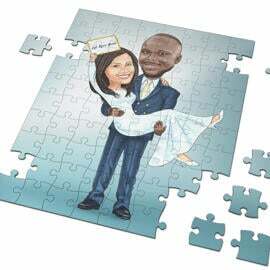 You just have to upload a beautiful colored photographs with clear face and body of groom and bride as you would like to see them on caricature. 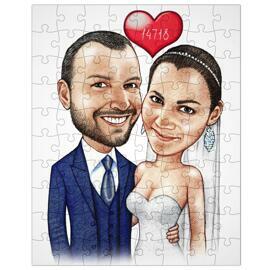 Caricature will be delivered as a ready to be printed JPG File on your Email, by default. 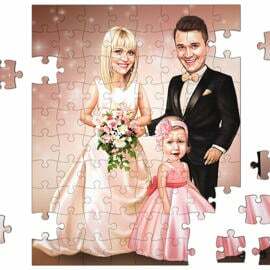 Additional delivery options: original colored caricature on paper, caricature printed on photo paper or canvas of multiple sizes of your choice. 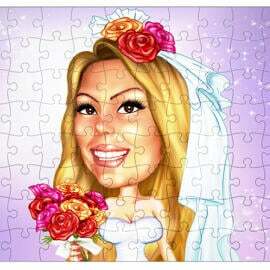 Worldwide shipping is available for each item.